After launching Campus A20 and Campus A63 in the budget android range, Celkon has further extended its portfolio by launching 3 more Android smartphones in India, namely, Celkon Campus A10, Signature Swift and Monalisa 5 priced at 4,299 INR, 8799 INR and 10,999 INR respectively. Celkon A10 is the entry level smartphone and will compete with phones like Intex Cloud X3. This phone is powered by a 1.2 GHz Dual core processor with 256 MB of RAM and 512 MB internal memory out of which 165 MB will be available to users for downloading Apps and other files. 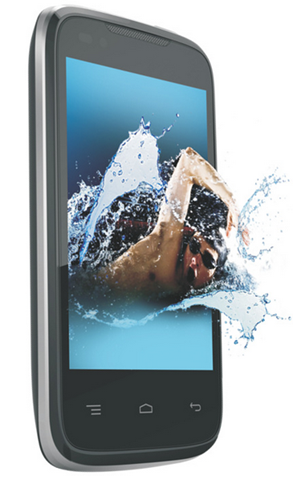 This phone comes with a 3.5 Inch display with 480 x 320 pixel resolution and Android 4.2 Jelly bean Operating system. Primary camera is of 1.3 MP and secondary camera is of 0.3 MP. Interestingly this phone comes with Dual SIM functionality and 3G connectivity. The battery capacity is 1500 mAh which is standard in this price range devices. Celkon Signature Swift is aiming with bigger guns and sports a 5 inch FWVGA display. It is powered by a 1.2 GHz Dual core processor and comes with 512 MB RAM and 4 GB internal storage which is extendable to 32 GB. Primary camera is an 8 MP camera with LED flash and a front camera of 1.3 MP is also present for video calling. This Android 4.2 Jelly bean Dual SIM smartphone features a 2000 mAh battery which will carry you through the day. Connectivity features include 3G, Wi-Fi, Bluetooth, aGPS and 3.5 mm Audio Jack. This phone will be competing with phones like Micromax Canvas Fun A74. Celkon Monalisa 5 is a budget quad core phone with 4.5 Inch qHD 960 x 540 pixel display. The 1.2 GHz MT6589 Quad core processor is supported by 1 GB RAM and 4 GB internal storage out of which 1.7 GB will be available for downloading Apps. Surprisingly in this Android 4.1 jelly bean device battery has been downgraded to 1800 mAh as compared to Signature Swift. The primary camera is of 8 MP (with LED flash) and a front camera of 2 MP is also present for video calling. Connectivity features include 3G, WiFi, Bluetooth and GPS. This phone will compete with phones like XOLO Q800 and Micromax Canvas 2 plus.